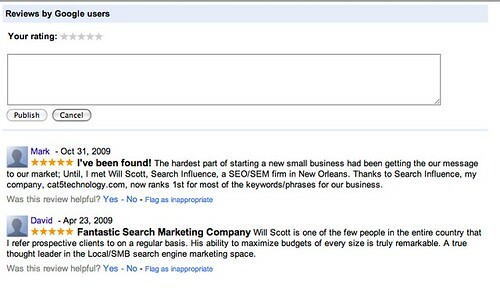 Mike Blumenthal shared an incredible tip at SEMpdx SearchFest 2011 regarding creating a shortcut to Google Reviews input box. You can truncate the very long, awful main URL. Apparently lots of people. Including me prior to 2 days ago.